AN-PON-AGG-2U-PAE is an integrated access equipment developed by AD-net. It supports for multiple kinds of sub card, especially for PON aggregation, optical transport, OLP. AN-PON-AGG-2U supports for optical fiber sensing, optical monitoring and cable monitoring. It supports 1+1 dual power backup (fixed AC220V/DC48V version). AN-PON-AGG-2U supports for 1+1 SC card protection, and sub cards support for hot swap. Support through the in-band management channel using the company's NMS3000 integrated network management platform for remote management, AN-PON-AGG-2U is with strong management capability and user-friendly interface, supports in-band network management, rapid configuration and setup for easy network maintenance and management. AN-PON-AGG-2U is suitable for metro access and metro aggregation optical transport network. EPON Mode 1: supports 8 x EPON signal multiplexed into 1 x OTU2. 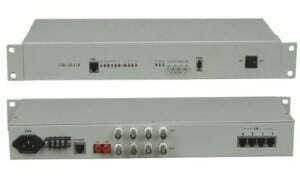 AN-PON-AGG-2U is an integrated access equipment developed by AD-net. It supports for multiple kinds of sub card, especially for PON aggregation, optical transport, OLP. 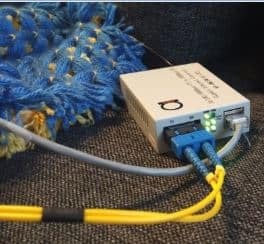 AN-PON-AGG-2U supports for optical fiber sensing, optical monitoring and cable monitoring. It supports 1+1 dual power backup (fixed AC220V/DC48V version). AN-PON-AGG-2U supports for 1+1 SC card protection, and sub cards support for hot swap. Support through the in-band management channel using the company’s NMS integrated network management platform for remote management, AN-PON-AGG-2U is with strong management capability and user-friendly interface, supports in-band network management, rapid configuration and setup for easy network maintenance and management. AN-PON-AGG-2U is suitable for metro access and metro aggregation optical transport network.